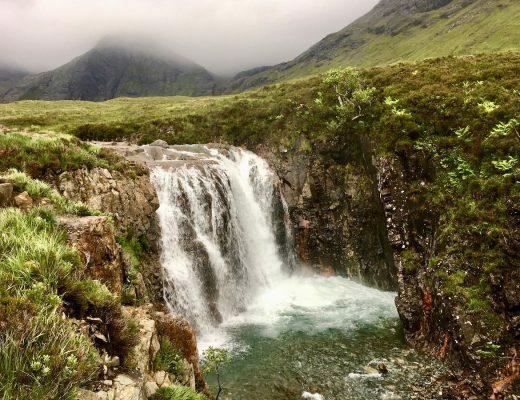 This is a guest post from Jenna Emmons of Articles de Voyage. It seems that the further south you go in California, the warmer attitudes are towards dogs. 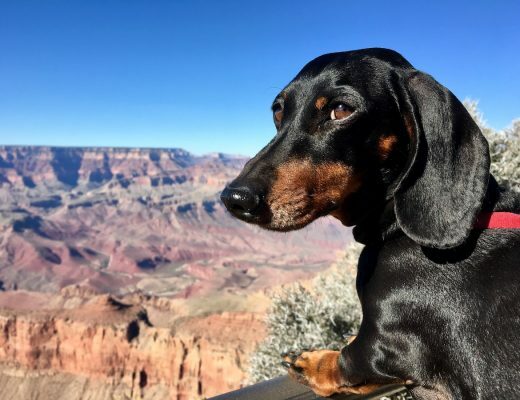 In the Southern California city of San Diego, dogs are allowed in parks, on beaches, and at most restaurants with patios. 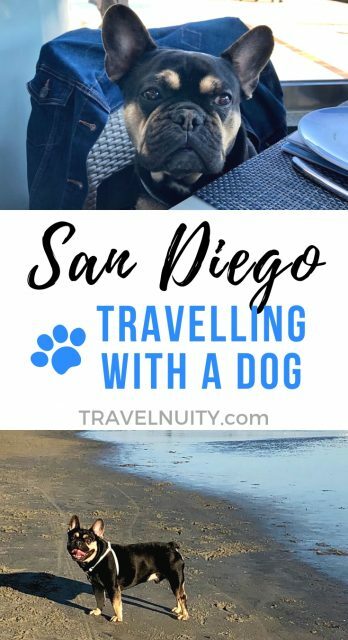 There are over 100 dog-friendly San Diego hotels, so you can be sure to find the perfect place to stay. Sporty pups can even catch a baseball game in Petco Park’s special “Barkyard” seating. It wasn’t baseball season when Louis and I visited San Diego, but we stayed within cheering distance of Petco Park. The Hotel Indigo San Diego Gaslamp Quarter is located in the heart of the entertainment district. 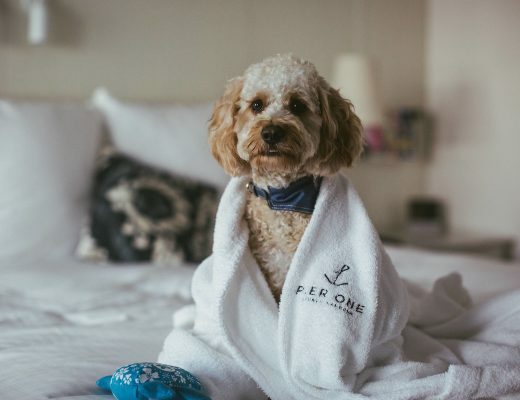 Most Indigo hotels are dog friendly, but pet policies can vary. Fortunately, the Hotel Indigo San Diego Gaslamp Quarter charges no fee for up to two dogs of any size. 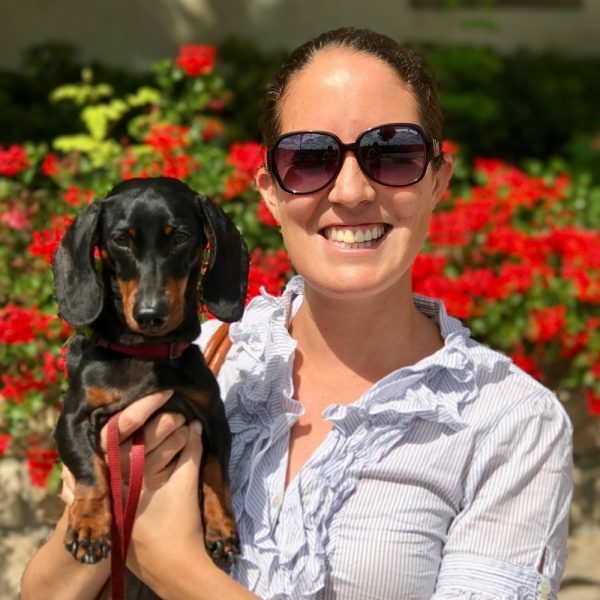 The management at Hotel Indigo does not allow dogs to be left in rooms unattended, but they welcome pets in their lobby restaurant and the Level 9 Bar. 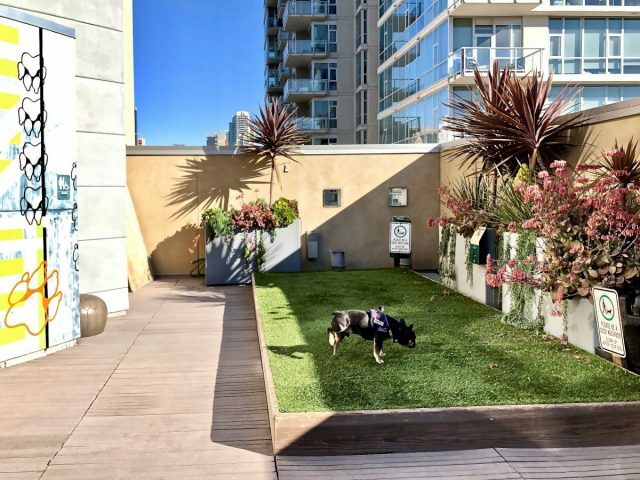 The rooftop bar even features a pet potty area with artificial grass. When the bar is closed, you can still access the pet area by contacting the front desk. 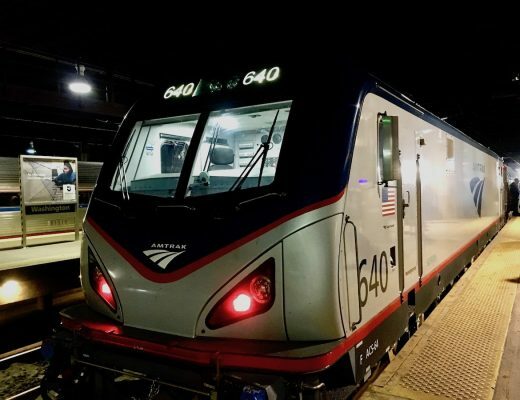 It’s a comforting amenity for people who don’t want to wander around the city late at night. Believe it or not, the Level 9 Bar is not the only place in San Diego where dogs are allowed to go potty while you enjoy an adult beverage. 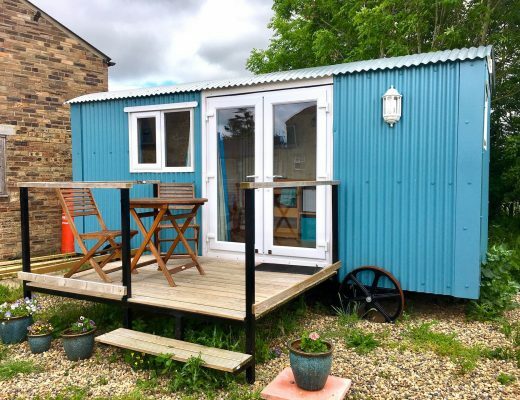 The Quartyard is a highly creative establishment about a 10-minute walk from the Hotel Indigo. At the Quartyard there is a fenced-in dog run, a concert stage, a beer garden, and several food outlets built out of recycled shipping containers. Open daily from 8am to 10pm (midnight on weekends). San Diego has an average daily temperature of 64°F (just under 18°C), so it’s no surprise that many restaurants offer outdoor seating. One of the most popular dog-friendly San Diego restaurants is Sally’s Fish House. The restaurant has a spacious patio right across from the marina. It’s a lovely place to enjoy a meal before wandering around in the shops in the dog-friendly Seaport Village complex. When visiting San Diego with a dog, be sure to visit beautiful Balboa Park. 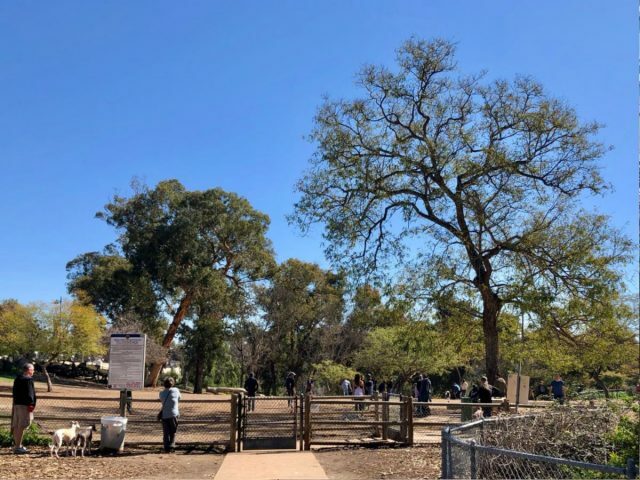 The 1200-acre park is home to some of San Diego’s finest museums as well as its world-class zoo. 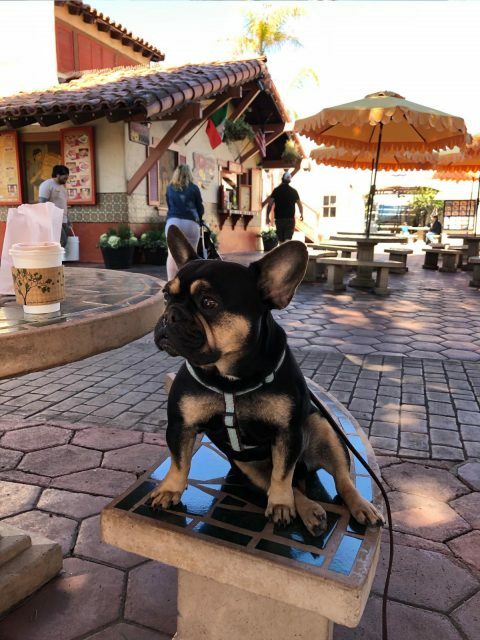 While dogs are not allowed in those attractions, there is plenty for your pup to do in Balboa Park. 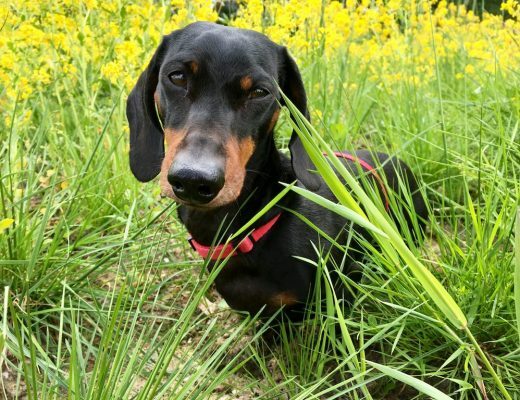 There are two off-leash dog runs and miles of trails they can enjoy while on a leash. 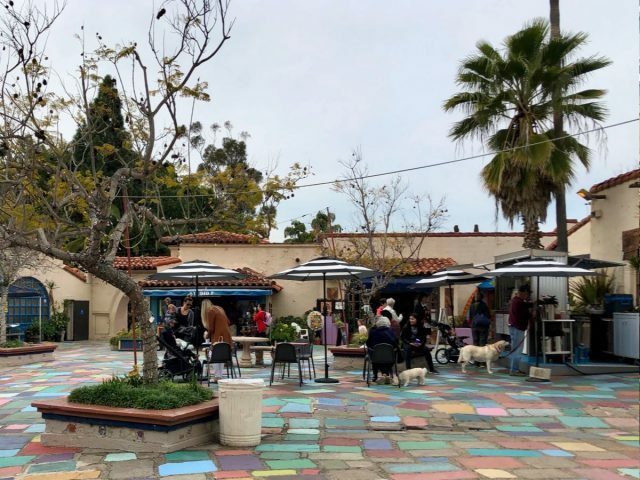 Balboa Park is also home to the Spanish Village Art Center, an eclectic collection of artists’ studios dating back to 1937. The Center is open daily from 11am to 4pm, and there is no fee to enter. I noticed a lot of people with dogs coming in just to get a drink at Daniel’s Coffee after a walk. If you can’t get to the center on foot, try parking in one of the free lots nearby. Whatever you do, be sure to visit at least one of the dog-friendly San Diego beaches. 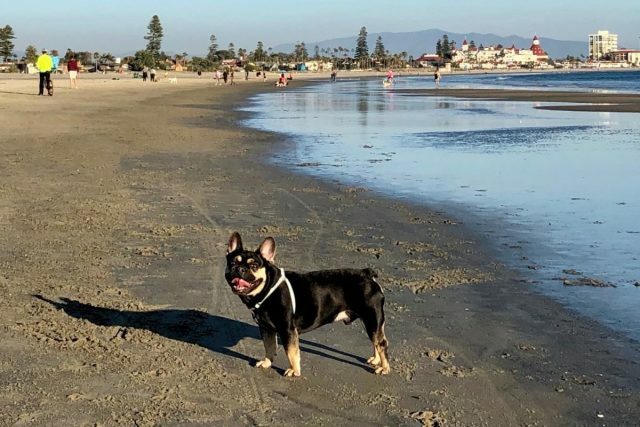 All beaches operated by the city of San Diego allow leashed dogs before 9am and after 6pm (4pm November to March). The San Diego neighborhood of Ocean Beach is also home to the “Original Dog Beach” which has allowed unleashed pups since 1972. There are additional off-leash dog beaches on Coronado and Fiesta Islands. Access to off-leash beaches is just one of the things that make visiting San Diego with a dog so pleasant. 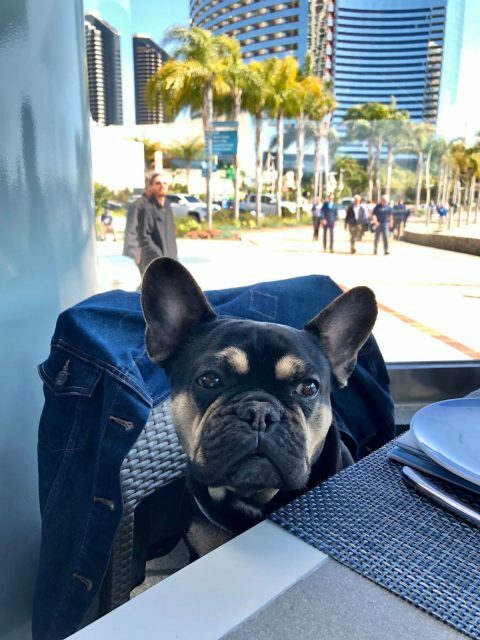 With a wide variety of outdoor dining options and more than 100 hotels that allow dogs, it is easy to see why San Diego consistently ranks as one of the most dog-friendly cities in the USA! 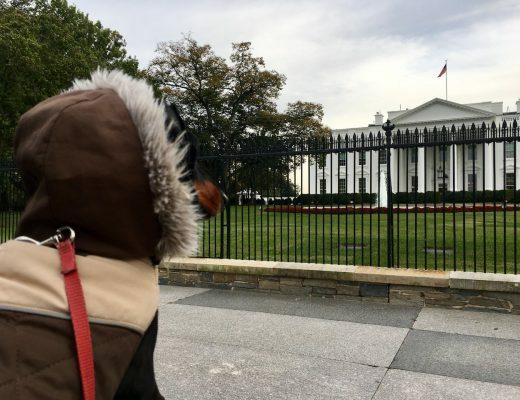 Jenna Emmons has been traveling with dogs for nearly 15 years. She currently writes about her adventures with Louis Vuitton the Frenchie at www.Articlesdevoyage.com. 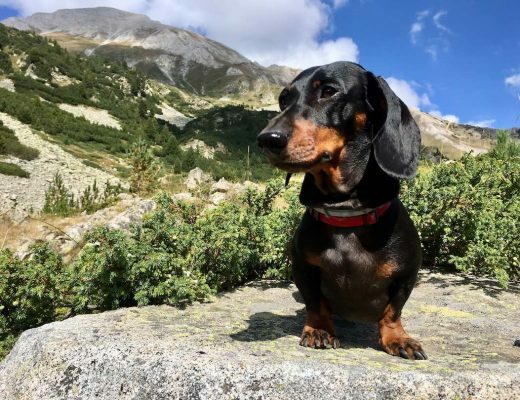 You can also find photos from their travels on Instagram at @dogfriendlytrav.